Creation #160. Happy Birthday Shelby. I swore (to myself) that I was not going to do dedications, or birthdays, or holidays with CC 2012. 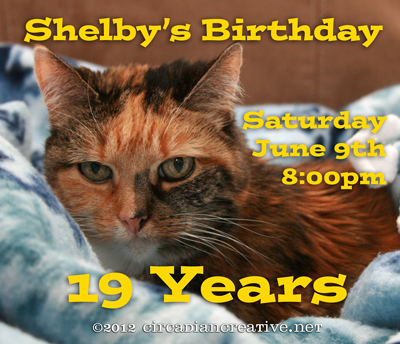 However I ran out of time today and I am busy administering a Facebook page that is having a virtual party for a kitty birthday. So I am posting a design I made to plug that event. This is my cat Shelby who has diagnosed with Kidney disease several years ago. For nearly a year she has been battling the disease and has overcome hurdle after hurdle. We never imagined that she would live to see her birthday today, but she is still fighting. Rock on Shelby and Happy Birthday! 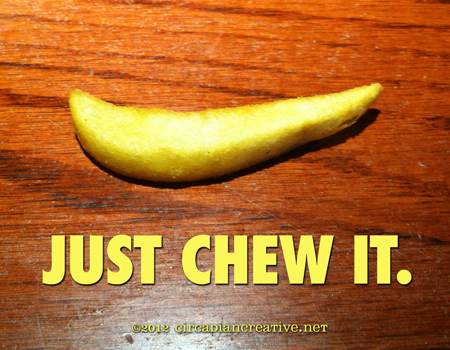 Brand Re-brand. Bonsai Today Magazine Cover Redo. I spent a little bit of time on today’s design. This is a redo of the Bonsai Today Magazine cover. 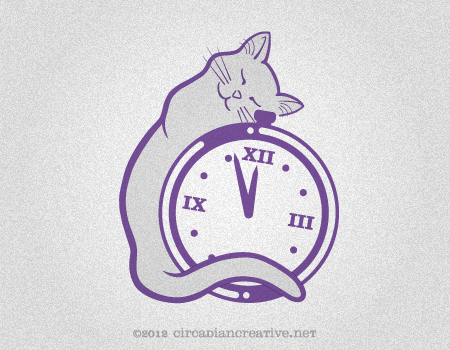 I chose the Logo that I created on the 22nd. If you go to that post you will see the original magazine cover. My main gripe with the cover design has always been the typeface chosen for the word Bonsai. Other than that the cover design is brilliant. 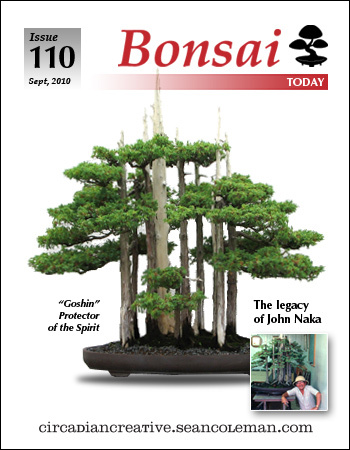 It draws the readers focus to a masterpiece bonsai and gives some brief descriptions and a brief list of the items you can expect to find on the inside of the issue. I have kept true to the design strengths of the original in my layout below. The main alteration in my version is the inclusion of my Bonsai Today Logo as well as changes to the typesetting for the issue number and issue date. I also wanted to honor John Naka so I chose one of his creations, which is also perhaps my favorite bonsai of all time, “Goshin, protector of the spirit”. John Naka’s contributions to modern bonsai are many. The small photo to the bottom right of the tree is a photo of Naka with the tree in 1980. It’s also worth mentioning that the 11 trees in this composition symbolize Naka’s 11 grandchildren. Naka passed away in 2004. I was a big fan and this is a little tribute to him from me. Brand, Re-brand. Bonsai Today Logo Redo #2. Today’s design is a lazy one. 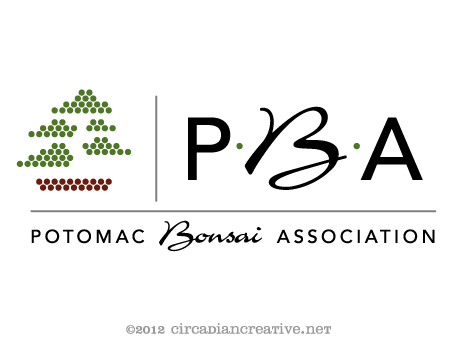 This is a variation on the Bonsai Today magazine logo. I chose to use green this time and I used Clarendon Bold for the word Bonsai. That’s it. Hope you like! Brand, Re-brand. Bonsai Today Logo Redo. I spent a large part of my morning pruning my meager bonsai collection which has inspired today’s design. Today I decided to experiment with the Bonsai Today magazine logo. This was a magazine published by Stone Lantern during the 1990’s and 2000’s. The magazine is currently out of print but the publisher manages a website called Bonsai Bark which contains great articles on the sublect. I used to look forward to getting my copy every quarter I believe, or maybe it was every two months, I can’t remember. 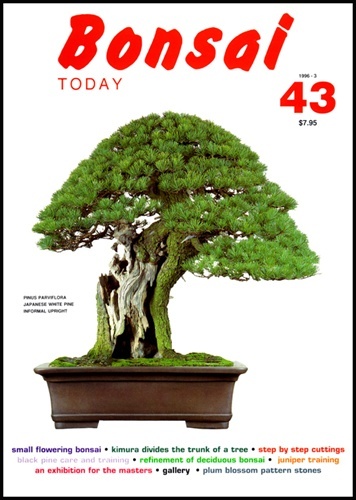 It was a great magazine and contributed greatly to my bonsai education. Here is a cover from one issue. I chose to change the typeface and incorporate an icon, which I created, of the silhouette of a bonsai tree. I kept red as the primary color but used a slightly darker version. Shown below are two variations. Tomorrow I will revisit the logo and experiment some more. See you then.